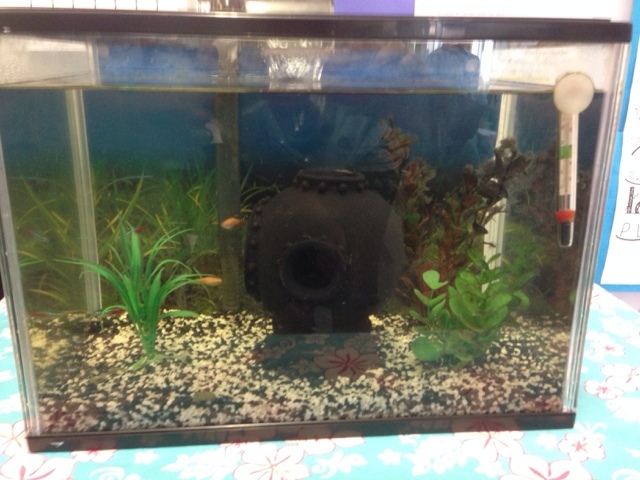 Room 20 @Sunnyhills: Taking care of our fish tank! Marine Biologists Tim and Jacob are doing a fine job today! 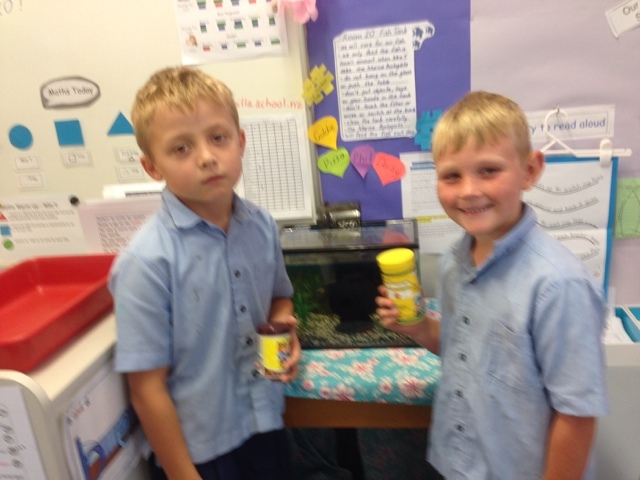 Taking care of our fish tank! Marine Biologists Tim and Jacob are doing a fine job today! Kia ora Room 20! I didn't notice that you had a fish tank in your room. I look forward to coming in and seeing your fish! I have a fish tank at my house with 5 fish. I also have 2 dogs. 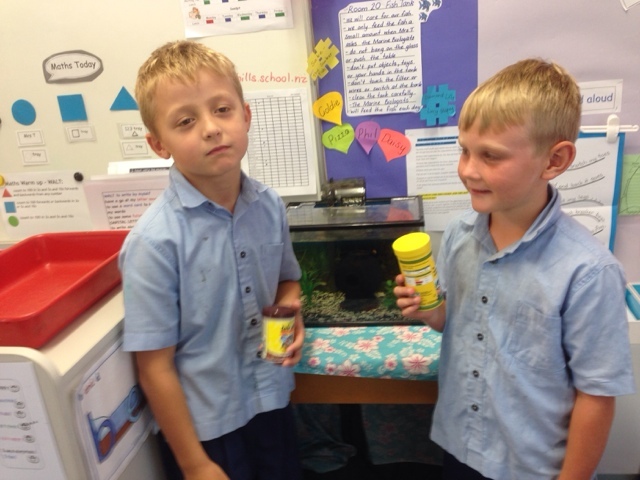 Hi Mrs Driver we have a few different fish in our tank. What are the names of your dogs? Do you play fetch with them? Chloe likes the fish and talks a lot at home.